Hi there! It’s Kate from Songs Kate Sang wishing you a very happy holiday season! 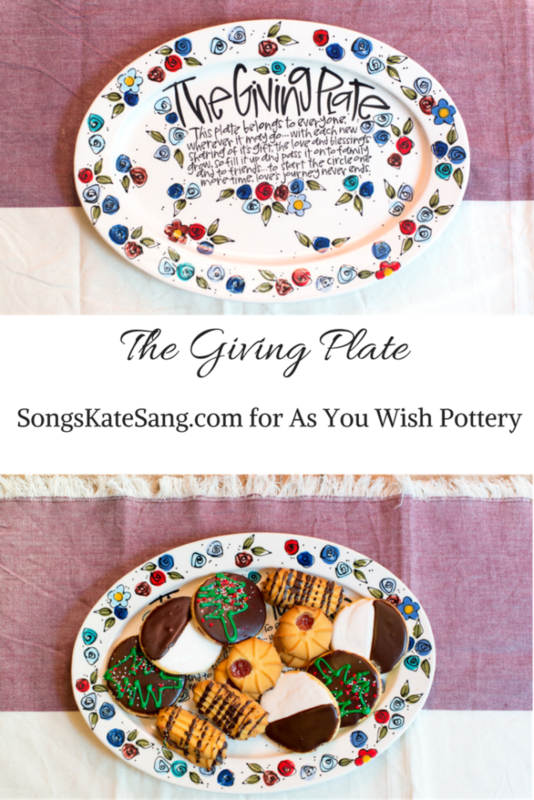 Have you heard of The Giving Plate? It is the sweetest tradition among my friends. The plate has a poem written on it. Usually, the plate is full of goodies, and as you enjoy the treats, you reveal the poem. You give the plate to someone and they are encouraged to pass it on when the time is right. I’ve seen the plate given for birthdays, encouragement, grief, and just because. It’s always a surprise when you receive it and each time you look at it, you are filled with thankfulness for the person that thought of you and excitement thinking about the next person to give it to! The best part about As You Wish Pottery designing a custom Giving Plate for you, is that you can choose the designs or colors! Think about school colors, sorority colors, or the symbols of your club. You can really make this personal and special just for your organization! If you need something delicious to put on your plate, be sure and check out these Dark Chocolate Butterscotch Cookies. They are sure to be a crowd pleaser! 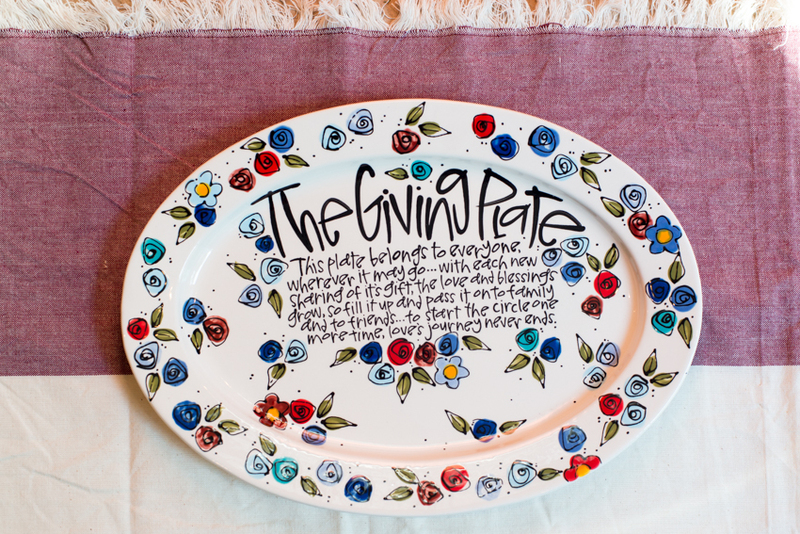 Who would you give The Giving Plate to?